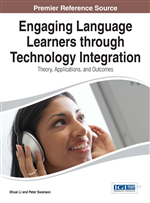 This chapter introduces a new paradigm of Web-based language learning, experimental Computer-Assisted Language Learning (eCALL) and its application in ESL and EFL grammar instruction. eCALL methods provide online training that complements classroom practice, while integrating second language acquisition theories and models. The authors introduce an eCALL tutor that teaches the correct use of the English article system. The authors examined the effectiveness of the tutor in an experimental study with 78 Chinese intermediate-advanced EFL learners. The tutor incorporated Bayesian knowledge tracing and provided individualized and adaptive training of English article usage. Learners' performance was measured by accuracy and response time. The results show that the tutor led to significant learning gains after three hours of tutor training, with gains retained two weeks later. The robust learning effects were documented by a significant improvement in accuracy and fluency of using the article. Recent advances in computer technology have stimulated approaches of computer-assisted language learning (CALL). These improvements are made possible with the growth of online resources such as games, dictionaries, grammars, translators, multilingual media, wiki pages, and social networking sites (Barr, 2008; Warschauer, 1995; Zhang & Barbar, 2008). Integrating these new functions with traditional classroom language teaching poses new challenges for researchers, as well as for teachers, developers, and learners. Nagata (1993), for example, pointed out that some CALL systems possess “limited capabilities for analyzing learners’ responses, diagnosing their errors, and providing feedback” (p. 330). Garrett (1987) addressed similar concerns with existing CALL systems: “Most students learn no more from grammar on the computer than they do from grammar in the workbooks, because much of the commercially available offerings are of the ‘wrong, try again’ model, which only indicates whether student-produced bits of language match the target language model stored in computer memory (sometimes also showing the correct answer) without indicating how or why the student input does not match” (p. 174). These problems prevented CALL systems from performing at their full potential in promoting effective learning. This chapter introduces a new approach of CALL that addresses the above problems. This new approach is called experimentalized computer-based language learning or eCALL (Presson, Davy, & MacWhinney, 2013). eCALL systems incorporate experimental methodology as well as methods in dynamic assessment (Cen, Koedinger, & Junker, 2006) to produce demonstrable improvements in language learning. The eCALL system introduced in this chapter is a computer-based tutorial system (referred to as ‘the Article Tutor’) that provides English article instruction to second language (L2) learners. The article tutor has been tested in multiple experimental studies in which we explored the effectiveness of different instructional interventions in article instruction (Zhao, 2012; Zhao, Koedinger, & Kowalski, 2013). The main feature of article instruction in the current study is the incorporation of Bayesian knowledge tracing that provides adaptive and individualized training to L2 learners. The primary goal of this research is to develop an adaptive vehicle for testing the efficacy of Bayesian knowledge tracing in the domain of second language learning. A secondary goal is to capture the efficacy of instruction through dynamic assessment. The tutor documents detailed information on learner performance in the form of computer logs. A data repository and analysis tool called Datashop (Koedinger et al., 2010) codes and analyzes the logs in order to generate learning curves that reflect learners’ dynamic changes in performance over time. This chapter begins with an introduction of eCALL systems and their applications in cognitive language tutors. We will then introduce Bayesian knowledge tracing and how it functions in cognitive tutors. Next, we will provide a functional linguistic analysis of the English article system. We will introduce two types of article usages, general and idiosyncratic, which explain why the English article has been difficult for L2 learners to acquire. Next we will present the details of the experimental study, including its methodology, results, and discussions of its implications.